Nigerian singer and songwriter, Innocent Ujah Idibia, popularly known as 2face Idibia, has sued Blackface for N50 Million. 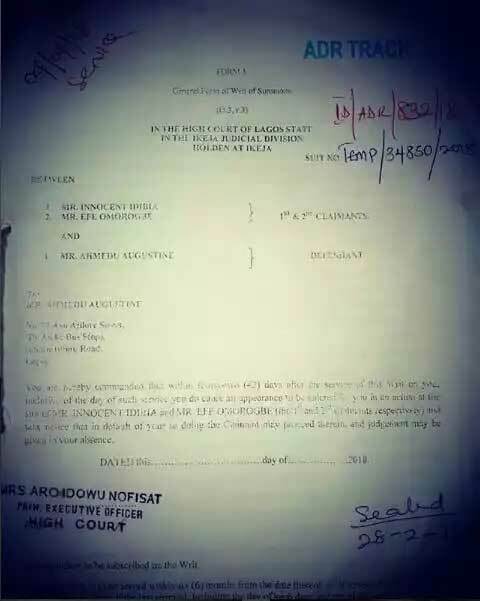 Report says 2face is suing his former group member due to his continuous claim of writing the ‘African Queen’ song. “2face idibia @official2baba & his manager Efe Omorogbe @efeomorogbe Sued me for 50Million They claiming I didn't write #letsomebodyloveyou & #africanqueen n what else?? 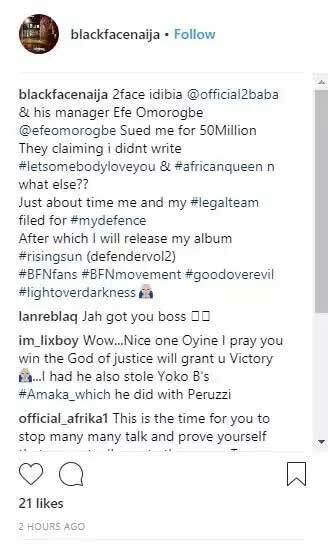 Just about time me and my #legalteam filed for #mydefence After which I will release my album #risingsun (defendervol2) #BFNfans #BFNmovement #goodoverevil #lightoverdarkness 🙏,” Blackface wrote on Instagram. 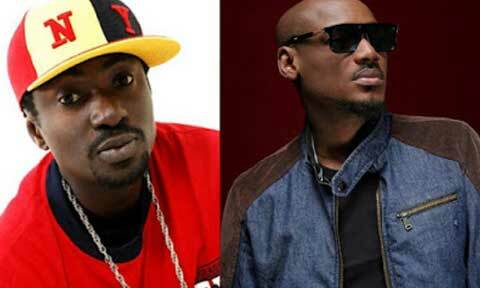 Blackface and 2face have been fighting over who is the original owner of ‘African Queen’ for some years now.